I'm currently typing this on my phone, slouching on my couch. Looking over at the clock, it's roughly 2:50 am. I'd be lying if I said I didn't want to sleep, but truth be told, I can't bring myself to hoist my left leg onto this makeshift bed, it kind of hurts to move it. This ladies and gentlemen is my living account of my first Microsoft Kinect injury. This should be the part where I give a rundown of what the Kinect is, but you probably already know it's Microsoft's entry into the motion gaming world. To be honest, as much as they are marketing the device to be the next step in the Xbox's evolution, I frankly see it as my Dance Central machine. 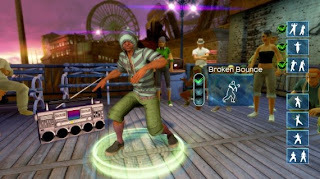 Harmonix's Dance Central was the title that not only saved Microsoft's E3 showcase for me this year, but receiving a free copy (or three) is pretty much the reason I own a Kinect. After my initial impressions with the device, I basically came to the conclusion that I could not seriously see myself playing games like this. Well, unless that game was Dance Central. I wonder what that says about myself and how I only saw potential in Dance Central as a franchise and not the Kinect as a controller. That is the bitter irony, for the thing that I had so much hope for caused me quite a bit of pain. It was during the song "Teach Me How To Jerk", where the incident occurred. During the second part of the song, while my foot was planted on the ground, I moved my body to the right. This caused my knee give in, a large crack was heard and I was down on the ground clutching it as my panicked friends gathered around me. After making my way to a couch and icing it for an hour or so, I finally tested to see if my leg would withstand my weight. Seeing that I was able to stand, I realized that everything could have been much worse. However, feeling a pain when it was bent signified that it was still pretty bad. After limping up some stairs and to my car, I managed to drive home generally pain free (oddly enough, thank goodness for tall/roomy SUVs... Is the Nissan Rouge an SUV?). Now I am here, slouching on my couch, waiting for the morning so I can get this professionally checked out. I'm not really sure what to think of this situation. The fact that I'm kind of typing here while my knee is obviously messed up probably is not in my best interests to do. However, it still amazes me that I fell into, what I assume to be the small category of people injured while using the Kinect. For something that can get really body intensive, I haven't really come across any blog posts discussing any sort of injury. All that's running through my mind at the moment is how I could have avoided something like this, whether it be through proper stretching beforehand (I did play in a more casual setting than I'm use to), or not pushing myself so hard (the wonders of what you end up doing in front of company). Regardless, that's behind me now and hopefully it stays that way. It's currently 11:38pm, after sleeping on what I typed, the first thing I did this morning was go to a nearby hospital to get my knee checked out. After an examination from a doctor and some X-Rays later, it appears that I have torn the cartilage in my knee. While normally this heals on its own, there is a small percentage that surgery may be needed to aid the problem. I am scheduled for a checkup next week, but until then I am mostly confined to this bed with my leg up. While not the ideal situation, as I said before, it could be a lot worse. As I'm staring at this text box, I really can't find a point to why I am currently writing this. One logical reason would be to warn others of the dangers of the Kinect, but honestly this was mostly due to the user, and pushing oneself too hard. Moral of the story, don't over do it? Then again that's pretty much a given. Throughout the day I played around with the idea of how I would approach Dance Central when my knee was healed. I'd be lying if I said I wasn't even a tiny bit discouraged to return to it. While this is probably a dark spot in my gaming history, I can honestly say the rest of the experiences I've had with the game have been more than pleasant. 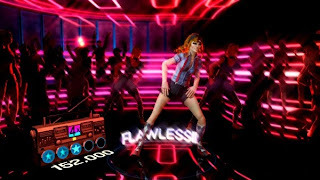 I don't regret putting so much hope into the title, and can only hope that Harmonix applies the same features and character that they have displayed throughout their Rock Band franchise. One thing is for sure though, I'll definitely avoid the Jerking lessons in the future.